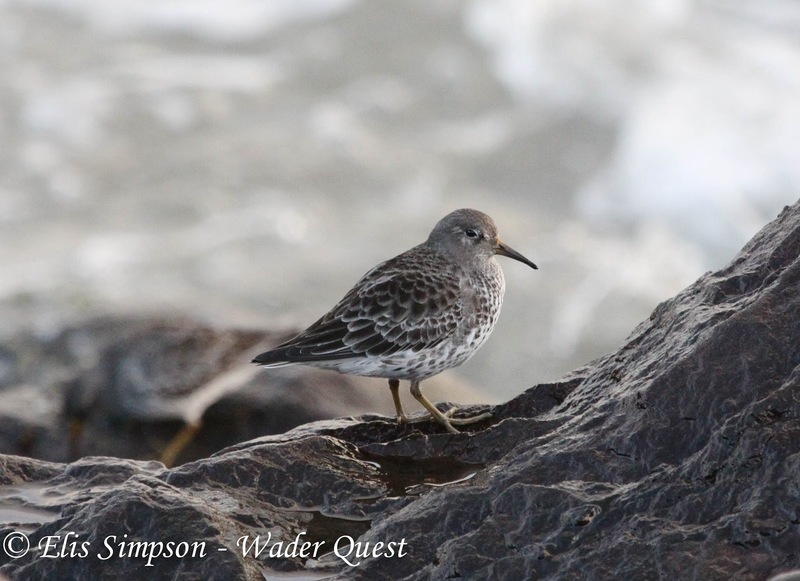 Wader Quest: Rock or Purple? Here's a chance to study Rock and Purple Sandpipers side by side to compare the differences, are there any? Purple in the first photo, Rock in the second. Well spotted Marco! They are very similar though. It's a good job they don't occur in the same places! Cheers. Good luck with the census. We hope that numbers are up and don't show a population decline like so many of our shorebirds are suffering. 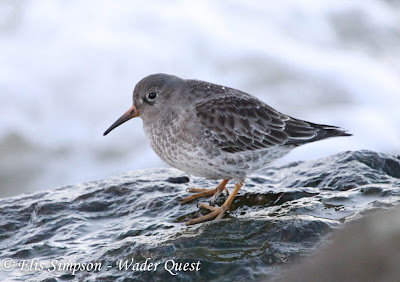 Let us know how you get on it is always interesting to hear news about projects involving waders. Cheers. Of course.This year will be the fifth consecutive, and perhaps we would rather publish the results. I'll let you know. Sure, we understand that, but anything of interest you want to share, we are always happy to hear about it. Good luck with the survey, you are certainly producing some great photos of the Purple Sandpipers, stunning close-ups.